Junzhi Yu, Jincun Liu, Zhengxing Wu, and Hao Fang, “Depth control of a bioinspired robotic dolphin based on sliding mode fuzzy control method,” IEEE Transactions on Industrial Electronics, vol. 65, no. 3, pp. 2429–2438, 2018. Junzhi Yu, Zongshuai Su, Zhengxing Wu, and Min Tan, “Development of a fast-swimming dolphin robot capable of leaping,” IEEE/ASME Transactions on Mechatronics, vol. 21, no. 5, pp. 2307–2316, 2016. Junzhi Yu, Zongshuai Su, Zhengxing Wu, and Min Tan, “An integrative control method for bio-inspired dolphin leaping: Design and experiments,” IEEE Transactions on Industrial Electronics, vol. 63, no. 5, pp. 3108–3116, 2016. Junzhi Yu, Feihu Sun, De Xu, and Min Tan, “Embedded vision guided 3-D tracking control for robotic fish,” IEEE Transactions on Industrial Electronics, vol. 63, no. 1, pp. 355–363, 2016. 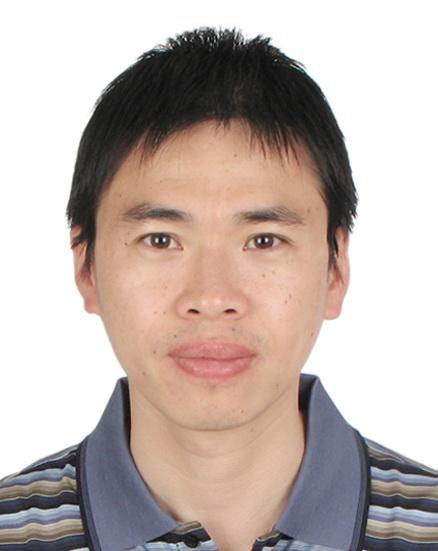 Junzhi Yu, Zhengxing Wu, Ming Wang, and Min Tan, “CPG network optimization for a biomimetic robotic fish via PSO,” IEEE Transactions on Neural Networks and Learning Systems, vol. 27, no. 9, pp. 1962–1968, 2016. Junzhi Yu, Chen Wang, and Guangming Xie, “Coordination of multiple robotic fish with applications to underwater robot competition,” IEEE Transactions on Industrial Electronics, vol. 63, no. 2, pp. 1280–1288, 2016. Junzhi Yu, Cheng Zhang, and Lianqing Liu, “Design and control of a single-motor-actuated robotic fish capable of fast swimming and maneuverability,” IEEE/ASME Transactions on Mechatronics, vol. 21, no. 3, pp. 1711–1719, 2016. Junzhi Yu, Zongshuai Su, Ming Wang, Min Tan, and Jianwei Zhang, “Control of yaw and pitch maneuvers of a multilink dolphin robot,” IEEE Transactions on Robotics, vol. 28, no. 2, pp. 318–329, 2012. Junzhi Yu, Lizhong Liu, Long Wang, Min Tan, and De Xu, “Turning control of a multilink biomimetic robotic fish,” IEEE Transactions on Robotics, vol. 24, no. 1, pp. 201–206, 2008. Junzhi Yu, Long Wang, and Min Tan, “Geometric optimization of relative link lengths for biomimetic robotic fish,” IEEE Transactions on Robotics, vol. 23, no. 2, pp. 382–386, 2007.